Kristin Hamilton's Inland Empire Blog: Social Media...Is it for You and Does it do What it Says? Social Media...Is it for You and Does it do What it Says? To Tweet or Not to Tweet….that is the Question? We have all been listening to the Social Media hype for the past few years. Does it work? Are you happy with it or are you getting your business on-line or from some other place like referrals or farming? Here are the major social media groups that everyone is using so do you think they work or not? Are there other sites that you would like to share with us? Do you find old tactics for leads are now outdated or still working? 4. Referrals from past clients and friends. Please comment on what you think works and what doesn't work? I personally do not like to door knock but I do like walking my farm. Do many agents still walk a farm or is most of it done on the computer? There is a lot of controversy and everyone seems to have their own opinion. Please comment below? C alifornia is a dream come true state no matter what your needs or wants are. We have year round warm weather, beautiful beaches, rustic mountains and desert communities. If you are looking for a home in southern California, please contact me. 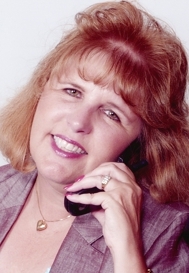 I am a local California Realtor, live in the Inland Empire community and aware of the local market. I am here to help you find a home or to sell the home you currently own. California has great opportunities to view Nature and Bird Watching. Whatever your needs are, you will find it here in California! From the Inland Empire you are 45 minutes to the beaches, mountains or desert. Housing is affordable in the Inland Empire area. Call me! Hi Kristin, One of the nice features of having been in the business for a couple of decades is that my business is almost all referral and past clients. Even with that, we need all these tools you listed and involvement with them to stayed tuned in the various markets as they evolve. I think referral business is the number one secret to being a good Realtor and shows you are doing your job correctly. I totally agree with you and I like referral business the best. You have a great weekend.